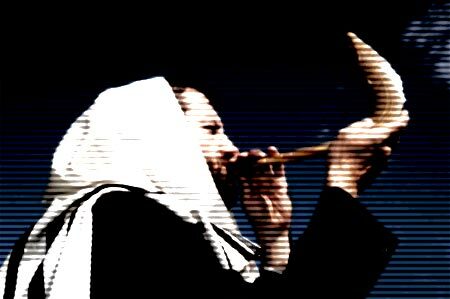 We have Jewish parody and viral videos for every holiday so why should Yom Kippur, the Day of Atonement, be any different? Granted this is meant to be a time of reflection and a time of communal supplication. Fasting, prayer and tuning out is the traditional method of achieving this state of introspection, but there are some videos that might help you out as you prepare for the holiest day of the year. My name is YIgal Haronian, and I would like to tell you a little about a video clip for Kippur I made with a friend – Matan Lax. The music in the clip is taken from the song “I’ve got a chance” (×™×© ×œ×™ ×¡×™×›×•×™) by Eviatar Banai, and the words are taken from the Kippur prayer “Yaale Tahanunenu”. The singers in the clip and both Matan and I are alumni’s of the Ein Prat Academy, the home of the Fountainheads, and actually Matan and I were the producers of some previous Fountainheads clips (Matan – Passover, me – Rosh Hashana)… The words in the song are in Hebrew but there are English subtitles available … The clip deals mainly metaphorically with the introspection and self examination taken place during Kippur, and it is best to watch it in order to understand the whole picture. Now I have to bounce, but may you all have a meaningful Yom Kippur and an easy fast! Let us know if there have been any videos that you found meaningful this year. ← Previous Story Sarah Silverman Says: Let My People Vote! Next Story → It’s a Yom Kippur Miracle of Forgiveness! Selichot Like You’ve Never Heard Them Before!